Log into JazzHR and go to your account settings. Within settings, navigate to the integrations tab. Copy the text in the input labelled "API Key". 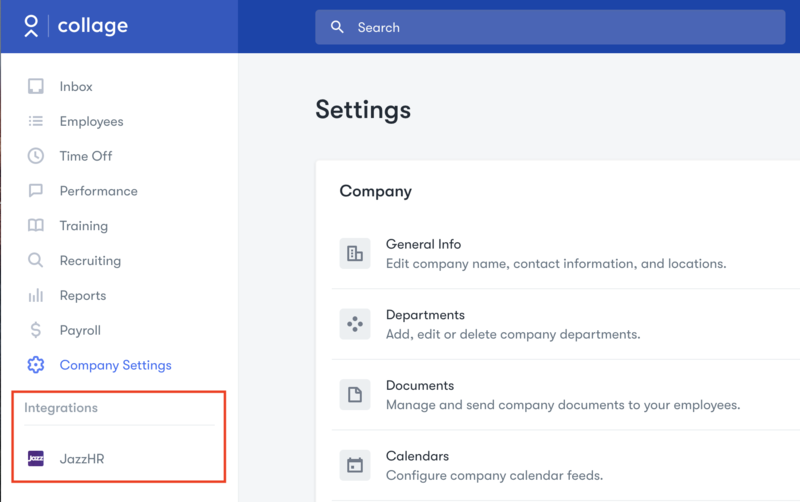 In Collage, find JazzHR under the integrations section in Company Settings. Paste the API Key copied from JazzHR into the input field and press "Save". When you refresh the page, you should now see a new tab on the left navigation for JazzHR under Integrations. Your integration with JazzHR is now set up! For more information on what the integration does and how to use it, please refer to this help article. 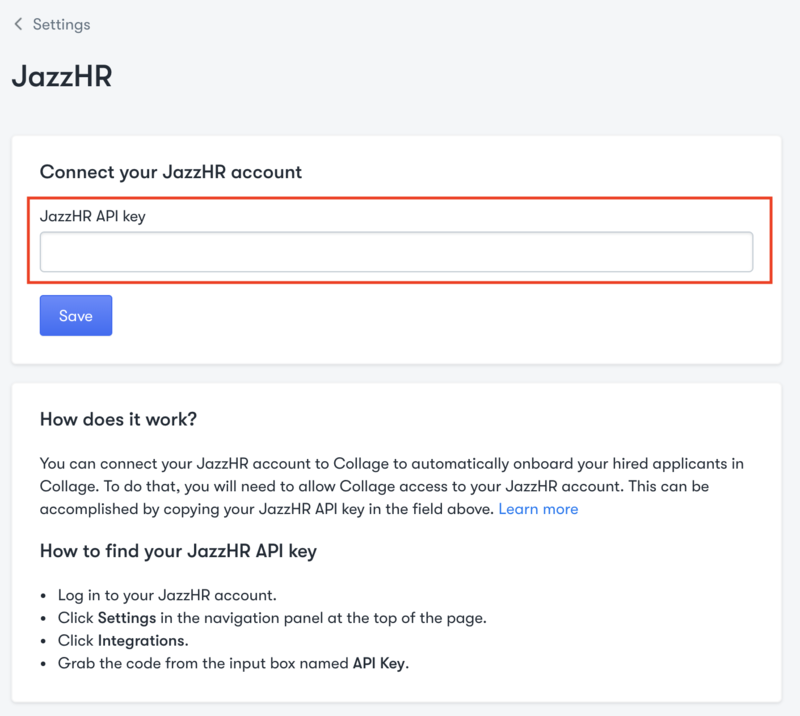 Note: If you ever generate a new API Key in JazzHR, you will have to repeat these steps to update the API Key in Collage in order for the integration to continue to work.